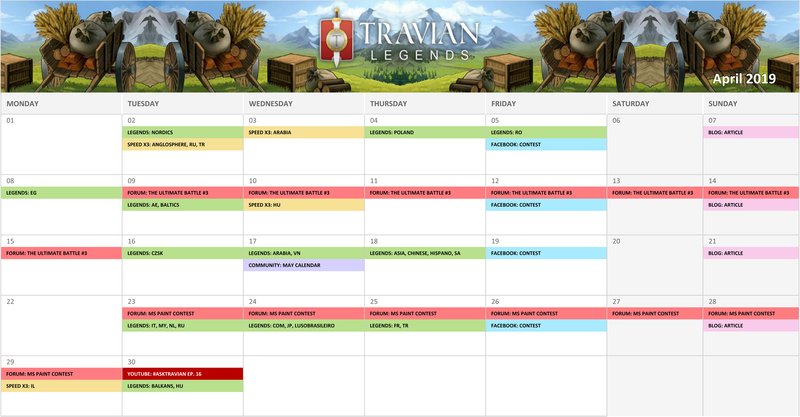 below you find the Community Calendar for April 2019. The changelog with the updated information will be published in the discussion thread about the calendar, you find the link here on the right side. Please note, the forum contests might not be available in all languages, if that is the case, feel free to participate in the International contest by selecting the English (COM) langauge in your forum profile.